﻿ Our Galapagos Cruise Vessels are the charm of the islands. We have the best crew & guides! 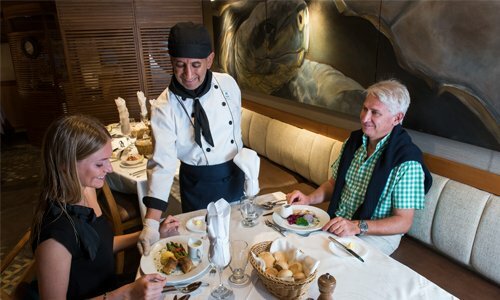 The Go Galapagos crew and guides are an enthusiastic multilingual staff with a multidisciplinary background, and that are driven by a passion for organizing and creating the most value-rich travel experiences. They will ensure that every detail on your vacation is of the highest quality to make the most of it out of the entire cruise trip. When you travel with Us, you know you’re in good hands, we offer you 24/7 support and the extensive expertise of our staff and guides. Let’s all have fun on board with Go Galapagos! 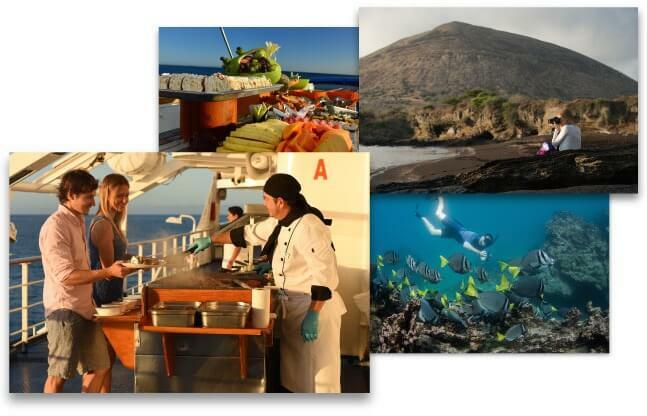 Enjoy all the entertainment aboard, ranging from gastronomy, dancing, singing, and the Galapagos animals coming to live. Why wait any longer?! Book your cruise and come have fun with us! There is a cruise ship for everyone. Going through the island the preferred ships are the smallest ones due to their coziness and comfort. It is easier to make friends and share experiences, as well as, having a more personalized service on and off board. 08h00 Visit to the Island. Hiking, snorkelling. 16h00 Visit to the Island. Hiking, dinghy ride, kayaking. What kind of weather can we find in the Galapagos Islands? What time zone is used in Galápagos? Local time in Galápagos is (GMT -6) one hour less than in Ecuador’s mainland. In our yachts and vessels, we work with Ecuador’s mainland time. What’s the procedure if I prepaid the Galapagos National Park Tax? A stamp placed on your GO – KT envelope will confirm that you have prepaid this tax, otherwise you will need to pay it at passport control in Galapagos upon arrival only in cash.